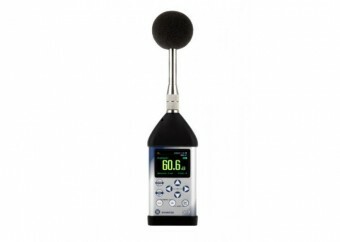 Castle Group of Scarborough is delighted to announce the addition of the SVAN Noise Meters to its product range. Castle’s partnership with SVAN has dramatically extended the functionality of what the company can now offer. The new meters have been specially packaged by Castle to dedicate them to health and safety applications, with templates, quick-guides and integration with the Castle dBdata software. The SVAN meters are available in several versions offering real-time octave band measurements, data-logging and dedicated noise at work templates. Packaged in robust ‘kinetics’ attaché cases with the Castle GA607 calibrator and dBdata software, these kits offer complete solutions for noise at work regulations monitoring. The top of the range, SVAN 979 boasts a colour screen with in-built Wi-Fi and Bluetooth as well as large data-storage and a high degree of configuration. This meter can be used for many applications as well as Noise at Work, doubling up to provide environmental monitoring and analysis and even vibration measurement and analysis. Castle Group are internationally renowned for supplying health and safety and environmental products and services into many industries, covering a wide array of subjects from Noise and Vibration, to Air Sampling, Temperature and Light. Castle provide solutions in the form of products to buy or rent, training courses, consultancy and calibration. Contact us today on 01723 584250 for more information or to arrange an interview.